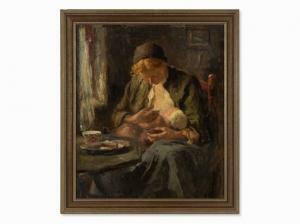 Find artworks, auction results, sale prices and pictures of Evert Pieters at auctions worldwide. 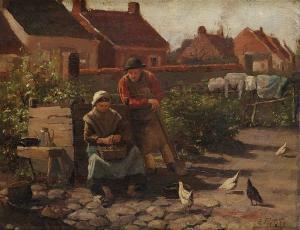 signed E. Pieters and dated 1902 (lower left) oil on canvas 24 1/4 by 20 1/8 in. 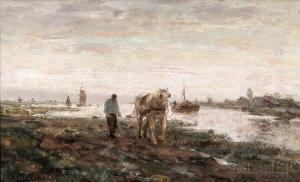 ; 61.5 by 51 cm. 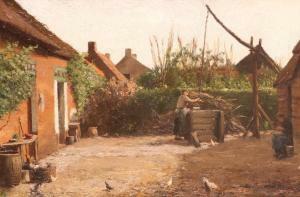 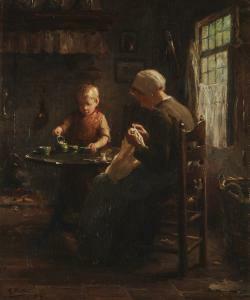 Domestic scenes with mothers and their children are a central theme within the artistic output of Evert Pieters.